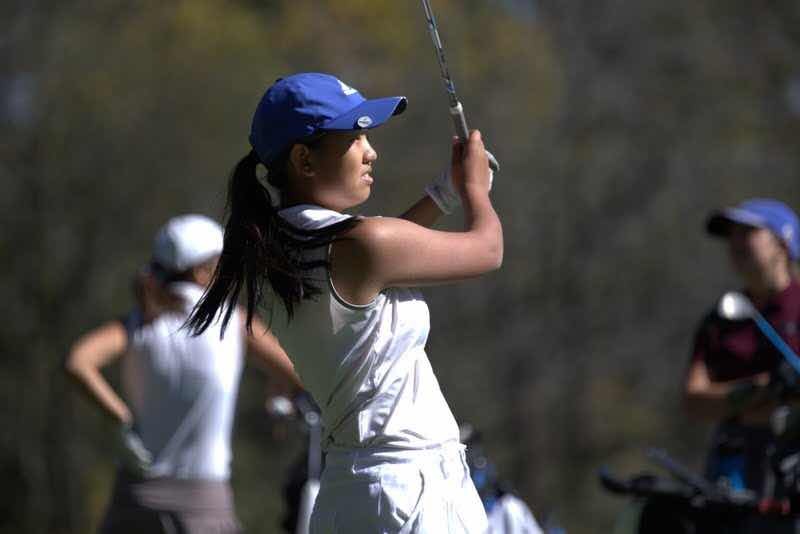 Bonnie Jin has been playing golf since her freshman year, and she has been on the varsity team since her sophomore year. This year she was named team captain. In her reflection, she writes about the integrity of the sport: "Truth and sincerity are the essence of gold, and without it, the game becomes empty." In her award-winning piece, Bonnie Jin (‘19) writes on the value of honesty in golf. This is Jin’s third year participating in Scholastic Art and Writing Awards. Jin first tried out the program in her sophomore year after her freshman year English teacher, Mrs. Veeder, recommended it to her. “It’s been a yearly journey and experience to write narratives and share my experiences with the people who read it. Every year I grow a little more and can convey that growth through my writing,” said Jin. This growth is mirrored by Jin’s growth in golf, a consistent focus of her entries. Jin has played golf since her freshman year and has been a member of the varsity team for three years, serving as team captain during her last year. As a tradition, Jin has written one piece on golf the past two years; this year, she submitted two. Jin described the inspiration for her winning piece: “After my final season, I felt that my years of golfing had shaped and changed me. 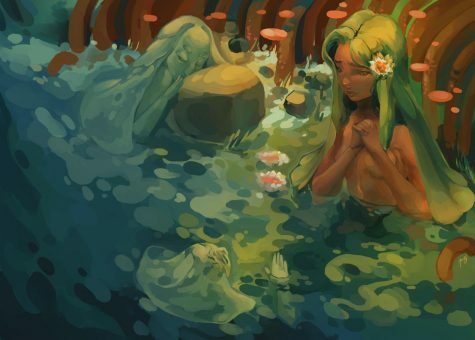 Thus, that inspired me to write this.” Jin spent about a month working on her piece, though the idea, she said, “had been there for quite a while”. “Hey, how about we take off a stroke each?” asked the girl nonchalantly as she looked at her scorecard, pencil in hand. She was someone who I had met a couple of times at past summer tournaments. I stared at her, completely taken aback. My body stopped moving, still halfway through putting my club back into the bag. My eyes blinked once, twice, and thrice. Wordless, I shook my head after staring at her for a long second. Taking a stroke off? That was blatantly cheating. “No, I don’t think so. You shouldn’t ask anyone that ever again.” As I walked away from her, I continued to lightly admonish her, telling her that doing such a thing could not only get her disqualified from the tournament but also affect her future endeavors. Listening to me, her face turned red from embarrassment. In this individual sport, the biggest challenger is yourself. As long as you make the least mistakes, you will end up with the lowest strokes and win. Due to the vast, unmonitored course, the game requires the highest level of honesty and integrity of players. It’s easy to underreport scores and replace a missing ball. In other words, truth and sincerity are the essence of golf, and without it, the game becomes empty. counted stroke may reflect his or her skill and progress. Had I heard that girl’s offer three years ago, when I had just started and barely understood the game, I might have considered accepting it. Now, entering my senior year, I understand that honesty and integrity is priceless. Even as a veteran of the game, it’s still impossible for me to avoid hitting the ball into the forest or water hazards. During those moments, especially when no one is beside me watching to make sure I’m following the rules, I must count and report my strokes accurately, including penalties. Occasionally, due to the amount of trees, I have to hit multiple shots to get my ball out and back into open area. Nobody sees it happen, but I must count all the strokes accurately in order to respect not only the integrity of the game but my own as well. Professional golfers do this exceptionally well and are role models for me. In one instance, Tom Watson, one of the leading players in the world during 1980s, was standing in the deep rough at Oakmont with hardly anyone near him. He ended up calling out to the official on the scene that his ball moved when he addressed it and was taking a penalty stroke.This sort of self-inflicted punishment is essential to playing the game. Since golf is not only physical, but also relies heavily on the psychological state of the player, the guilt of cheating can often result in a worse subsequent performance. On the contrary, candor and decency often will bring better returns. Tom Watson won eight major championships and headed the PGA Tour money list five times, becoming the number one player in the world from 1978 until 1982. Having success after a penalty isn’t unusual or rare, and even I have had such experiences. On a particular day, I lost my ball on the edge of a stream. I eventually found it lodged in mud on a severe slope. I faced two options: play it from there or take a penalty from the water hazard and place the ball further back. The latter was a one stroke penalty, but it would put me in a much better position to hit. I eventually took the penalty and still managed to make par on the hole. This showed me that there is no reason to fear penalties. Sometimes, it is better to make a smart decision. During the past three years, my golf scores have improved greatly, from 126 strokes to as low as 71 during my final season. More importantly, I have learned many lessons about the philosophy of life from golf, from always keeping a positive attitude to taking more risks and accepting responsibility. However, the value of honesty and integrity is one that remains with me the most and is the most significant. The golf course can be symbolic of the battlefield of life. In an era where civic corruption is common and even academic figures engage in such lowly behavior, veracity and morality are becoming scarce. The golf course is the exception; it is the foundation of the very game. It is often said that playing golf with someone can reveal their true character. While this isn’t necessarily true, the game does indeed reflect a player’s honesty and integrity. Although not for everyone, golf is definitely an honest man’s game.